There are certain characteristics and psychological qualities that make you, you. Psychographic segmentation capitalizes on this by dividing customers based on psychological factors, which include behaviors, personalities, lifestyles, and beliefs. These factors are then analyzed to predict how you, the customer, will respond to focused marketing campaigns. Segmenting consumers into these subgroups based on conscious and unconscious decision-making processes was first proposed as an argument against traditional behavioral and demographic segmentation. The question became: do age, gender, and education level provide enough information to formulate a valuable targeted marketing campaign? The answer may be yes. In fact, early experiments in engaging customers segmented by psychographics have seen an increase in conversions by a factor of five when compared to engaging customers with no context. 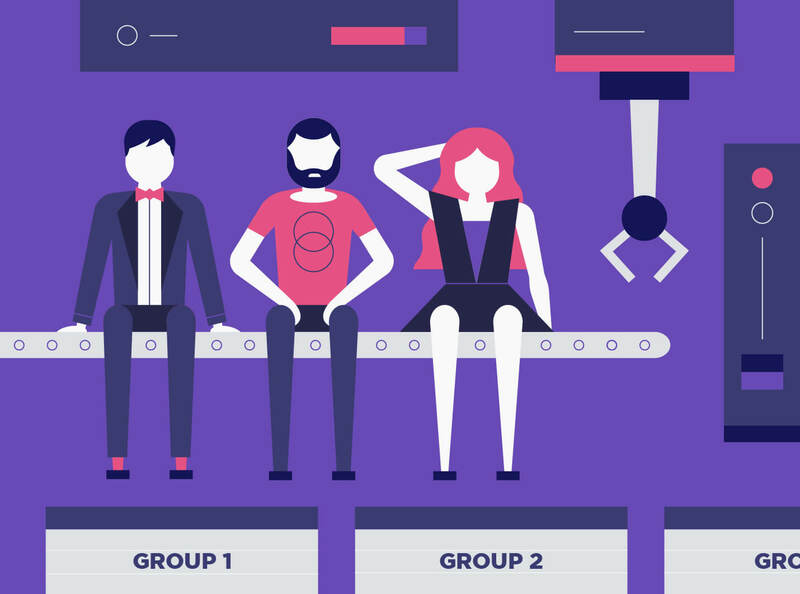 If you are wondering how you can implement a more sophisticated method for market segmentation in your business, continue reading or jump to our infographic at the bottom of the page. Not long ago, marketing departments were unable to measure the performance of a given campaign. Advertisers were only able to broadly segment the market with the placement of a billboard or magazine advertisement, allowing the company to geographically and demographically segment customers accordingly. Today, the digital marketing environment provides a continuous feedback loop for marketers, allowing for more strategy and agility within campaigns. Not only can you more accurately target individuals based on location, age, gender, and occupation, but methodologies have emerged for segmenting customers even more specifically. Marketers continue to research the causes and correlations of actions and reactions to marketing tactics. One area of research that has garnered attention in the mobile marketing space is segmenting customers based on variables related to the individual customer’s lifestyle. How a person chooses to spend his or her time and money on activities, goods, or services combine to become one’s lifestyle. Lifestyle is the most concrete insight into what customers actually value, compared to a customer questionnaire or survey, which doesn’t always represent reality. How an individual has been raised and the experiences they have been exposed to mold their values. One’s attitude toward a certain event, product, or advertisement will likely be a result of those values. For example, if a person was raised to value frugality and conservatism, a mobile brokerage firm launching a campaign to market risky investment vehicles to this segment will likely perform poorly and reflect in the subsequent conversion rate. Knowing your user’s personality and character are important factors when segmenting psychographically. Does a particular user have a sense of humor or are they more straight-faced? Is your user analytical and numbers-based or do they prefer the human elements of a story? Insights into personality types are important especially when considering the voice of marketing and advertising copy. When we marketers think of the class hierarchy in today’s society, we are mainly concerned with purchasing power. This purchasing power is directly tied to your marketing efforts since the goal is to reach and convince the decision maker to buy your product or service. This can also be applied to the power structure within the hierarchy of a company. For example, if the marketing team of an enterprise software company needs to reach C-suite level executives, they will need to segment based on higher authority employees. Everyone has varying interests and hobbies, and being aware of them can bolster your marketing efforts. If, for example, you plan to market your food delivery app, then users who exercise regularly, use health-conscious meal plans, and have dietary restrictions will likely be an important segment to target. While lifestyle is a good indication of what people actually prioritize, understanding what people are motivated to prioritize is equally as important. If you can paint a picture for your user that aligns with their priorities, it will likely trigger a desired action. 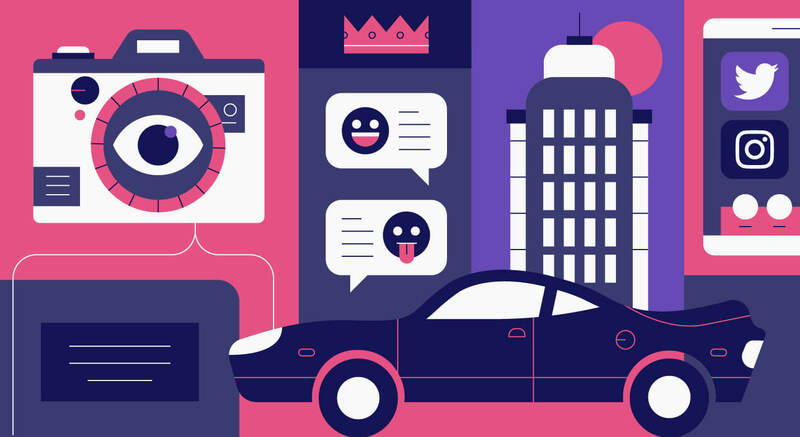 Continuing with our food delivery app example, if a particular psychographic segment is motivated to spend more time with family, marketing this delivery service as a way to gain quality time with loved ones would be a win for the marketing team. The marketing team for a travel site notices a group of users that have purchased multiple flights between the same departing and destination cities — and never fly on the weekend. The marketers extrapolate that these customers are flying for business and can start to narrow down their campaign strategy. One campaign might be to offer free WiFi or upgrades to business class with the purchase of their next flight through the mobile app. 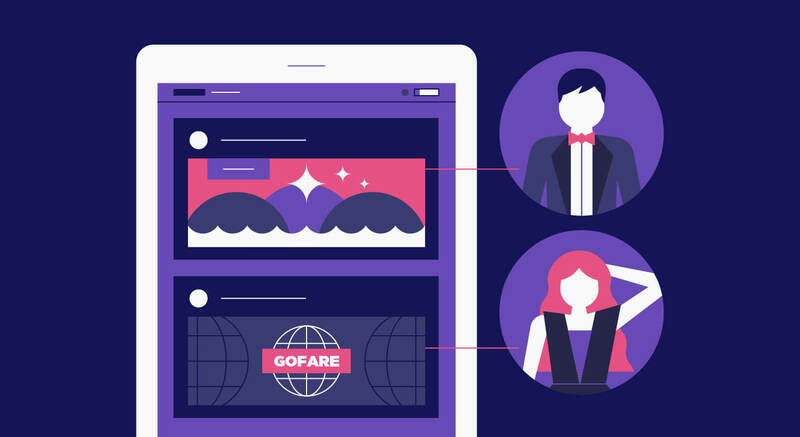 Since the traveler likely charges the flight to the company, offering them personally a unique value will likely influence their decision to buy. A food delivery app notices a group of users place their orders late on Friday and Saturday nights. The team reasons that these users are ordering after a night out. Even though these users have only ever ordered on weekend nights, they argue that national holidays will likely have a similar effect on ordering habits. Establishing a campaign targeting these users on St. Patrick’s Day, Independence Day, and New Year’s Eve would be a good fit for this psychographic segment. A sports news app realizes that some customers only engage with the app on game day unless the news is about their favorite team. Since a large portion of fans don’t live in the same city as their favorite team, location services will not help the marketing team serve these consumers information they are interested in. Using psychographic segmentation based on the previous content they’ve engaged with, news updates can be tailored for users within this psychographic segment. While digital marketing offers data analysis that extends far beyond the analytical tools that were available to traditional marketing teams, the sheer volume of data can be overwhelming. Although it would otherwise be nearly impossible to manually segment customers using this plethora of data, today’s sophisticated marketing tools allow you to effectively segment users. Within mobile marketing, psychographic segmentation can mean tracking user engagement broadly by time of day or day of the week, to more granular triggered events. This could mean segmenting users who only purchase a particular product offering, such as lipstick from a cosmetic brand, and implementing a highly targeted campaign to convert these high intent lipstick purchasers. While psychographic segmentation can be strengthened by analyzing past behavior, the ultimate goal of psychographic segmentation is to predict the future actions of each individual user. A great strategy to implement when segmenting psychographically is to gain a deeper understanding of who the users actually are. One way to think about customers is to create buyer personas that act as a figurehead representation of the segment in question. When you think of your various customer types, what comes to mind? Do you know who your target market is? Are your users typically male or female, old or young, educated or uneducated? 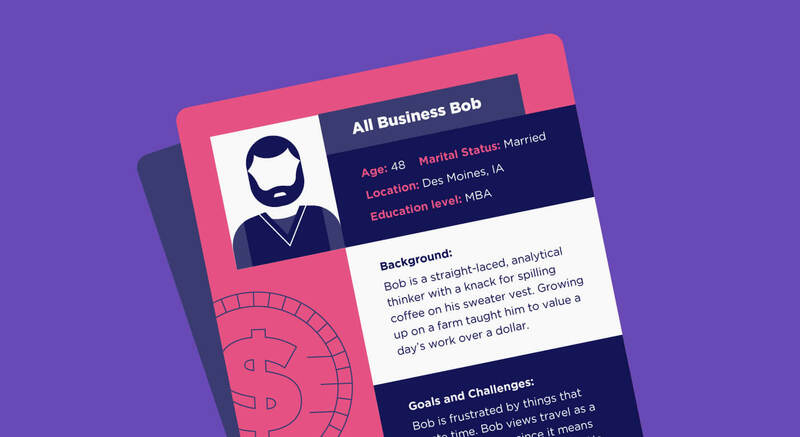 Creating customer personas (or buyer personas) is a great way to understand and empathize with your customers. Your archetypal customer will personify the behaviors, attitudes, and subsequent actions of your average user. This will help your team visualize what needs to be prioritized and how to solve the customer’s pain point. Personas also help clarify which customers are closely related to the target market but are not actually a part of the target market. Name and Photo: Including a name gives the team a sense of personal connection to the customer. Demographic Profile: Add context around the age, gender, location, and other determining demographics. Background: What life experiences and level of education might influence your customer’s purchasing decisions. Goals and Challenges: What problem is your user looking to solve and what is holding them back from making the purchase? The more in-depth you go into outlining and describing your average customer the more you and your team will feel a true connection to your customers in general. Jeff Bezos and the leadership team at Amazon coined a term for being “Customer Obsessed” in which the overarching company decisions are based on the customer, not competitors or technology. In today’s fast-paced world, marketing teams need to implement sophisticated marketing techniques like psychographic segmentation. Since the digital relationship with companies can often times feel cold, disconnected, and inhuman, it’s more important than ever to put a personal touch in your communication with customers. If you would like to further your psychographic segmentation efforts, CleverTap enables you to segment users with machine learning-powered functionality to uncover the user’s expressed interest by event property, time of day, and day of the week.